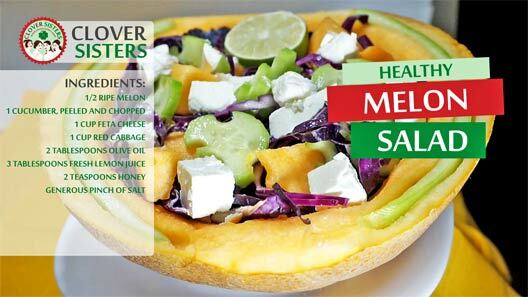 Lovely melon salad is super healthy and have an amazing range of tastes and textures. We like this summer fruity salad that doubles as dessert. Cut the melon in half and use a spoon to scrape out seeds. Cut the melon into one inch cubes. 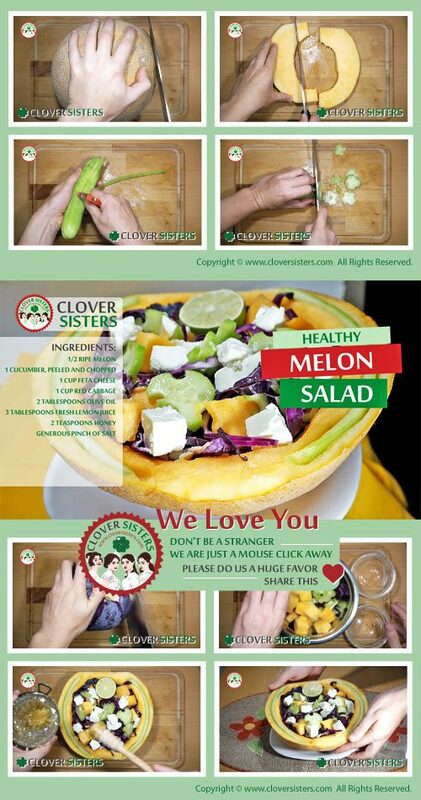 Gently stir to combine the melon, cucumber, cabbage, olive oil, fresh lemon juice, feta cheese and honey. Season with the pinch of salt and refrigerate until ready to serve.